Opinion: Which side to pick in the Heathrow 13 debate? 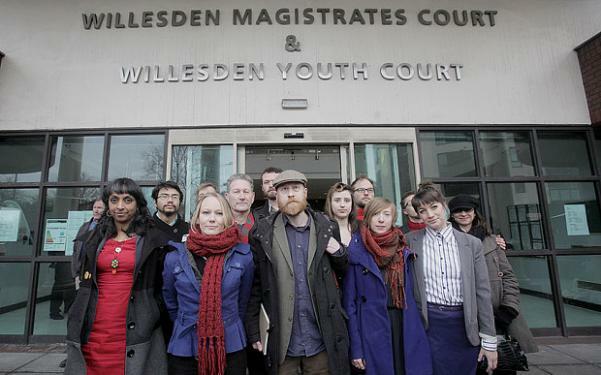 The Heathrow 13 activists when waiting for the verdict of the trial. Photo credit: Plane Stupid. Last week, environmental activists were nervously awaiting sentence in a trial for illegal trespass. In June 2015, they had gone onto a runway at Heathrow to stop air traffic, and to highlight the issue of climate change. And to their relief, they were acquitted of jail, but given suspended sentences. 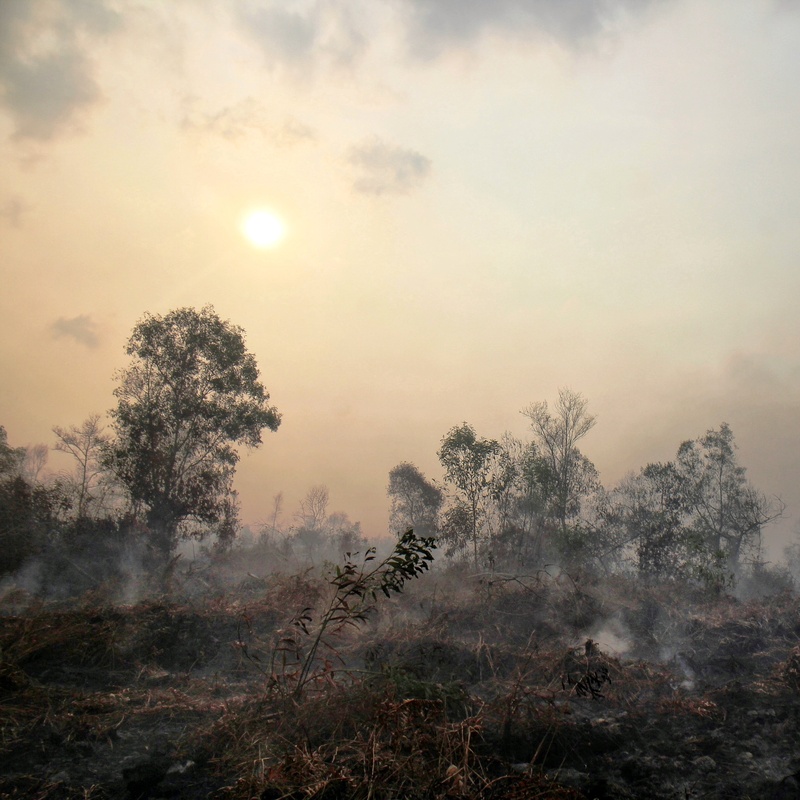 The activists argued that their action was necessary to force the government to address carbon pollution caused by aviation. Their action has received a huge amount of support from environmentalists, activists, environmental groups, Heathrow residents, the Green Party and some far left fringes of the Labour party, including the Shadow Chancellor, John McDonnell. I have previously written about the crucial issue of aviation. And it is my firm view that until we have scientific and technical solutions to limit emissions, we should not expand airports, but should seek ways to make air travel more efficient. Conservative London mayoral candidate, Zac Goldsmith, is also against the expansion of Heathrow; and he supports this argument. But although he is against the expansion of the UK’s largest airport, located in his constituency and thus affecting his constituents, he is not against overall UK airport expansion. When it comes to the arguments of the Heathrow 13 activists, I agree with their overall message, that we cannot afford to expand the UK’s airports. But this is where my agreement stops. The activists claim that their actions will bring attention to the issue of climate change and bring more people aboard. But I beg to disagree and I strongly believe that it couldn’t be further from the truth. To believe that a bunch of activists occupying a runway is going to aid the issue of climate change is a fraud argument, quite the contrary in fact. The disruption of lives of thousands of ordinary people, some of whom probably agree that climate change is a serious issue, will diminish and not increase the number of people who care about climate change in the UK. The companies mainly responsible for UK’s aviation emissions will continue their businesses undeterred. Meanwhile ordinary people who are not responsible for the problem will be paying the price for the activists` actions. The bigger picture is that the activists are preaching to the converted. A lot of people in the UK accept the scientific reality of human-induced climate change. But while accepting it, the majority do not see this is a big problem. And you definitely do not bring them on your side by disrupting their lives. And let me also point to a recent report, released last year and reported by the climate news site, Climate Home. The report says that pictures of climate change actions and demos is actually having a negative effect. Instead, the creating of positive stories and the spreading information on possible solutions is far more productive in winning support. And on the political side, the response from the Labour Party, does not help either. This party is now lead by Jeremy Corbyn of the far left, with John Mcdonnell a close friend and ally. By their general promotion of activism and socialism, and by referring to Chairman Mao, they have become a laughing stock in the UK Parliament. And it is unrealistic that they can find political cross-party support on an issue as crucial as aviation. Previous Labour leaders such as Tony Blair, Gordon Brown and Ed Miliband, disagreed with the Conservatives. But they had mutual respect for each other, and they were generally able to achieve cross-party support on crucial issues. For example, this was the case with the Climate Change Act, which was engineered by Ed Miliband, at the time serving as Climate Change and Energy Minister in Tony Blair’s government. This issue of aviation expansion in the UK is split into two camps. Either you agree that aviation is crucial to business and we need to expand or our competitiveness is at risk. Perhaps, the basic view is that, in the grand scheme of things, and when it comes to the economy and jobs, climate change is not all that important. Meanwhile, the other camp argues that the only way to deal with issues such as aviation expansion is activism, demonstrations and obstructions. This they will interpret as giving power to the people in order to expose undemocratic moves by the government. If you have read this article up to here, you will not be surprised to hear that in my opinion both those arguments are false. What we need is a center pro-solution argument. Moving to the extremes on both sides does not help to get things done. We have got a serious problem on our hands, a problem that needs serious solutions.